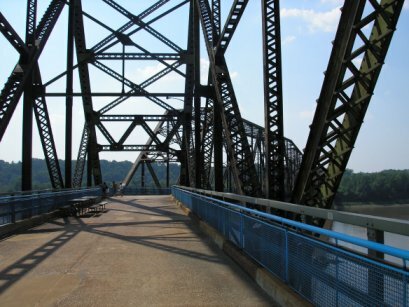 Believe it or not, this scary bridge was open to regular traffic for forty years. 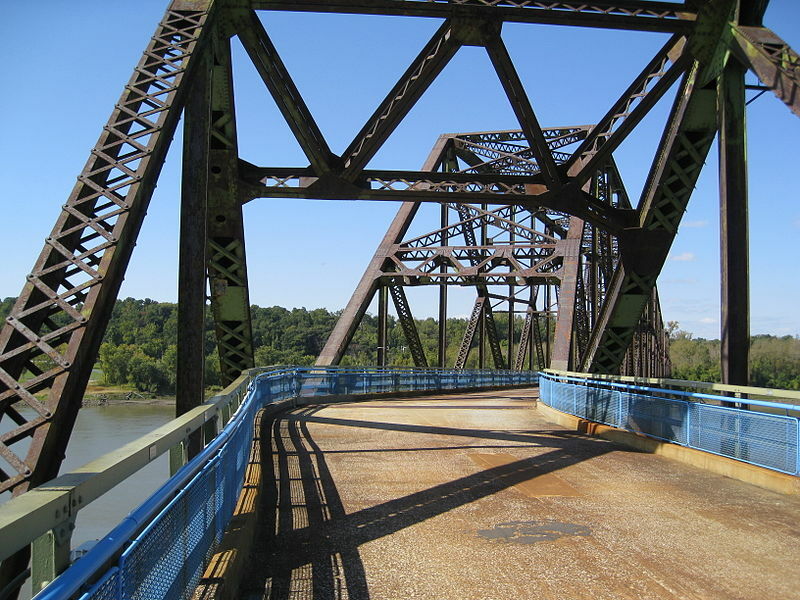 Now the trucks and cars that used to cross the Mississippi via this bridge are now ghosts of the past – but the bridge is still open for foot and cycle use. It was first opened in 1929 and for a while formed part of the historic Route 66. Initially, the bridge was planned to be straight but as you can see from the photographs, it was built with a kink – it’s a 24 degree change of direction. The bridge survived as a road bridge for many years. 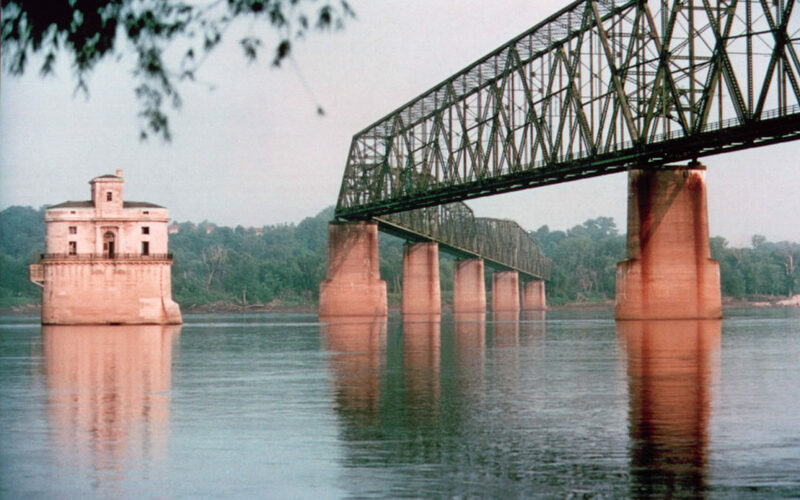 A new bridge was built in the late sixties and in 1970, the old Chain of Rocks Bridge was closed. It was used in 1981as a location for the movie, Escape from New York. However, apart from this the bridge was largely abandoned and gained a reputation as a place of crime and violence. Indeed, some twenty years after the bridge had closed to traffic, a grisly murder took place there. Today though it’s a popular place for travellers to visit, especially Route 66 aficionados.